Being pregnant and having a baby is an exciting experience. 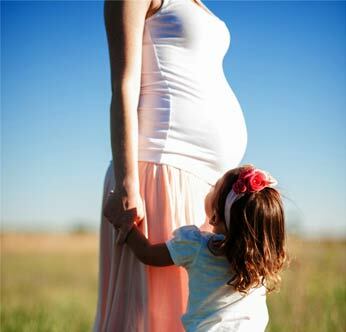 Becoming a Mom is a prenatal education program created for pregnant women. The information provided is designed to improve participants' chances of having a healthy pregnancy and a healthy baby. Classes serve as a source of social support for the women and allow them the opportunity to connect with other mothers in a similar situation. The program has been implemented in a variety of settings, including community-based organizations, churches and worksites, and it is taught by trained facilitators. Becoming a Mom takes a holistic approach to caring for the family, using education that helps women enhance their well-being. Signing Up is Easy and Free! Contact the Clay County Health Department at 785-632-3193. To improve the health of moms, so their baby’s are healthier, too. Join us as we share new parent information, meet other moms and dads in the area, and have fun getting ready for baby’s arrival! In addition, you can get other gifts during sessions as well. March 19, 2019 - Session 1 - Prenatal Care: What to expect from your prenatal care/common discomforts in pregnancy. March 26, 2019 - Session 2 - Pregnancy Health: Learn how stress, certain foods, and many other things can affect your pregnancy. April 1, 2019 - Session 3 - Signs and symptoms of preterm labor, labor and delivery, and why the last weeks of pregnancy matter. April 9, 2019 - Session 4 - Infant feeding, breastfeeding basics: what to expect and how to overcome problems with breastfeeding. April 16, 2019 - Session 5 - Infant care, period of purple crying, happiest baby on the block, SIDS risk reduction, and safe car seat installation. April 25, 2019 - Session 6: Postpartum recovery / Interconception Health: Regaining health between pregnancies. Located: All Classes will be from 3:00pm - 5:00pm at the Clay County Health Department except Class 3. Class 3 will be held at Clay County Medical Center located at 617 Liberty ST, Clay Center, KS. Enter the North side of the building and classes will be held in the Education Center, above the Wellness Center. The childbirth education class is a 1-day class offered on Saturdays. All expecting mothers and support persons are welcomed. This course covers a variety of topics including: signs of labor, stages of labor, breathing and relaxation techniques, pain management, postpartum care, care of infant after delivery and infant CPR. The breastfeeding education class is a 2-3 hour class, one night only that is included in the Childbirth classes.